The blanket-making basics are fairly straightforward. It starts with purchasing fleece to size. From there, the fleece is taped and cut, prepped for the tassels that are made along the edges. Tape, scissors, a sweetly-patterned fleece, and awesome attitude are all that’s needed for Logix staff to become blanketeers on our day of giving back. We're so elated to take part that we've held staff workshops to sharpen our blanket-making skills. You can join us in making a difference as well! For the month of September, visit any Logix branch location and with a minimum donation of $5, you’ll receive this limited edition Robix pin. 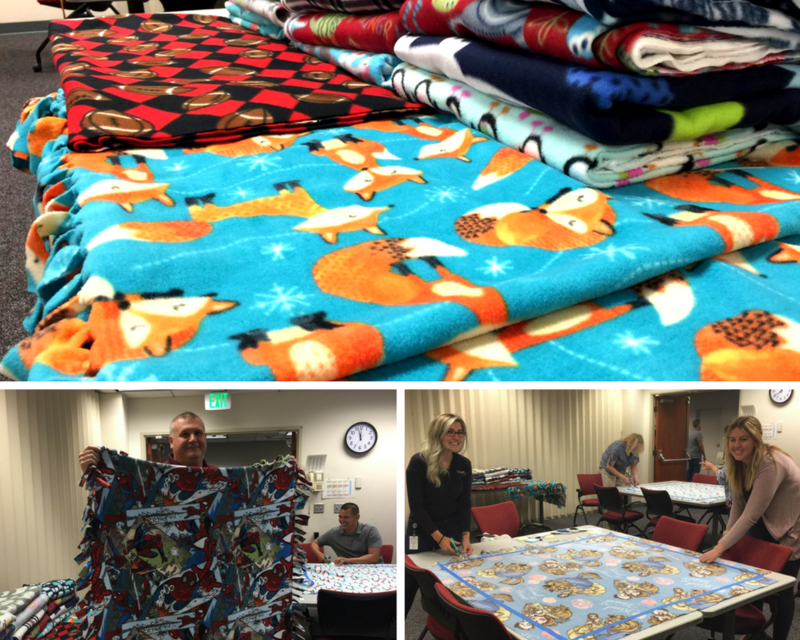 Donations from pin sales will be used to purchase fleece and blanket-making supplies for SCV Project Linus. Your donation will help comfort a child in need. Want to roll up your sleeves and participate? Sign up to volunteer on September 22 at Make a Blanket Day in Santa Clarita.